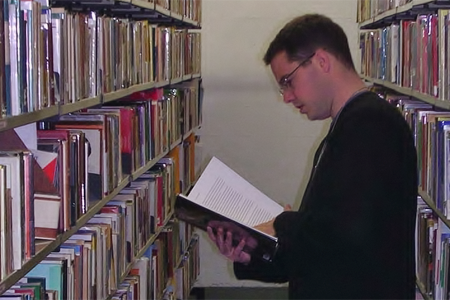 The seminarian is a student studying to become a priest. During the week, study is his main work. Spiritually speaking, study is his apostolate. Classes are held at Good Shepherd College. It is five minutes’ walk from Marist Seminary. Good Shepherd offers a Bachelor of Theology and a Graduate Diploma of Theology. The programme of studies for seminarians is set down by the Vatican. It is called the Ratio Studiorum. The goal of the studies is to deepen our understanding of what we Catholics believe. In other words, to study the reasons behind our beliefs. The classes build on the community experience in the seminary – the regular prayer, meditation on the scriptures, participation in the Sacred Liturgy and service. At the core of this understanding is a love and desire for God, and for the things of God. More detail regarding courses is available at Good Shepherd College. Good Shepherd College is jointly owned by the bishops of New Zealand and the Marist order. On the lecturing staff, Marist fathers are responsible for the following areas: systematic theology (Fr Merv Duffy sm), scripture (Fr Kevin Waldie sm), philosophy (Fr John Owens sm), human development and pastoral (Fr Tim Costello sm). There is plenty of opportunity for informal contact with the professors outside of the class time. The final three years of study are done in Rome. The student studies for an STB degree (Sacrae Theologiae Baccalaureatus).